The best resistance band workout ever! Strengthen and tone arms (biceps, triceps), shoulders, chest, and upper back. Exercise legs (inner thighs, outer thighs), glutes, core and more. 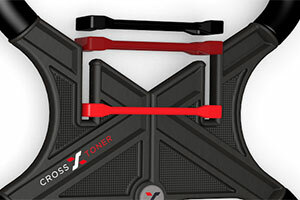 CrossToner is unlike any other fitness product. Click below to explore some unique features. High density foam rubber grips provide the same performance as commercial gym equipment. Engineered fitness bands provide the maximum resistance range possible along with incredible endurance. Experience comfort and stablity when supporting the unit against shoulders and legs. Unique desgn accepts up to four resistance bands and keeps them securely in place at all times. Knock down design allows for portability, especially when used with the carry bag. Made from a special blend of fiberglass and polypropylene for a super strong yet light weight frame. And the ribbed design provides added stability. Curved design provides solid gripping area for hands, while also providing comfort for leg exercises. Long and wide lower handles give extended range of motion. Perform the same exercises as offered by large commercial weight machines. CrossToner provides an almost unlimited variety of resistance band exercises. Here are just a few of the routines. I just want to say the CrossToner is the best exerciser ever. It does such a good job on my arms! CrossToner is so different, not boring or the same old thing like other exercise products. I absolutely love it and have lost 70lbs using it. I like the appearance of the frame - strong ribbing and a solid feel - and the operation is rigid with virtually no flex during operation. I’m 76 and I just love that little thing. It works super! I love it! Finally, an exercise machine that doesn't just get stored in the basement! CrossToner is unlike any exercise device you've ever used. 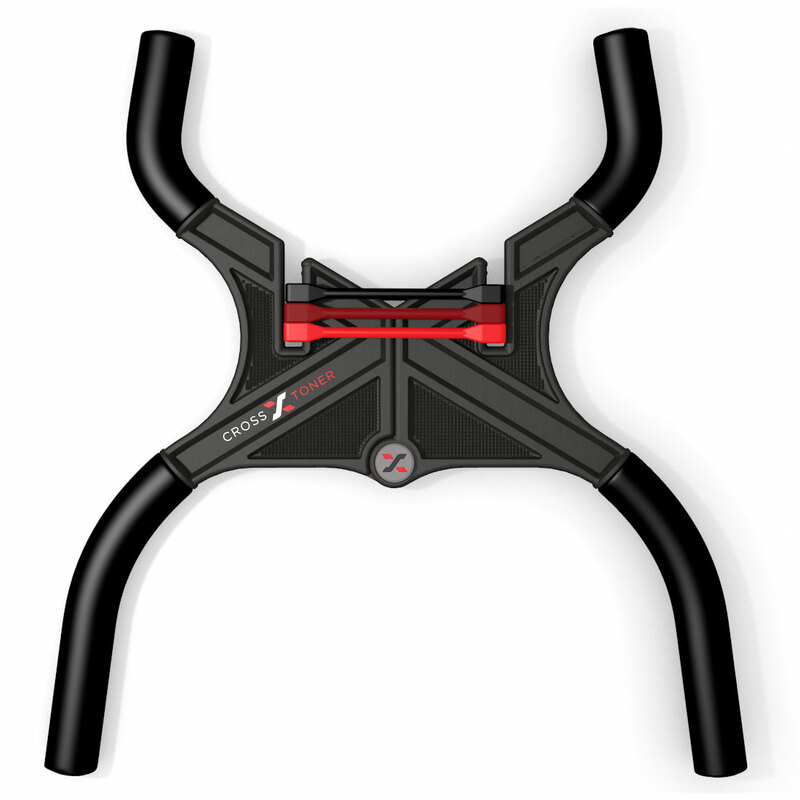 With opposing sets of handles and integral resistance bands, CrossToner provides resistance in multiple directions. You can't get this with traditional resistance band products. CrossToner weighs just over 2lbs. Capable of generating up to 60lbs of resistance, it's perfect for everyone. While other products require external structures to work (such as doors, floors, etc), CrossToner is 100% self-contained. It even works in outer space! Don't wait until they sell out again. Get your CrossToner today. Available direct from our warehouse and through Amazon & Amazon Prime.